Marketing analytics is the best way to track the success of your digital marketing efforts, from phone calls, foot traffic and scheduled appointments to the effectiveness of your website and much more. You can use the information collected from your website and local listings to see the results of your digital marketing efforts in real, undeniable numbers. 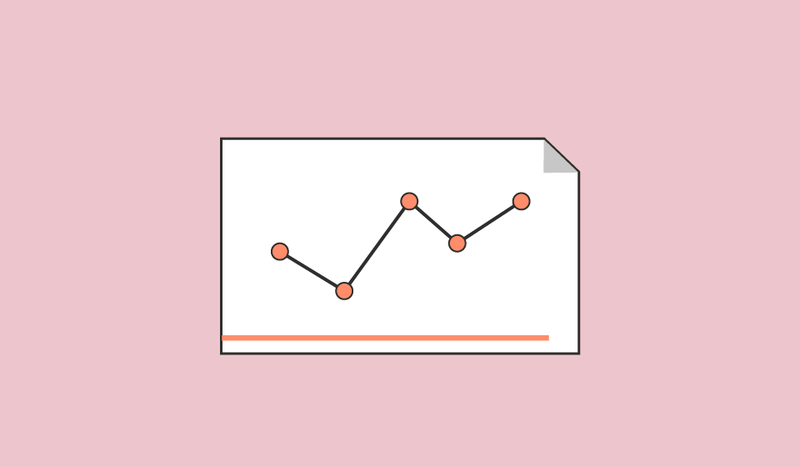 In this article, you're going to learn what common analytics terms from Google Analytics and Google My Business mean and how to use those to improve your strategy. Let's start with Google My Business Insights. This is where you can see valuable data points that can show you the growth of your business’s visibility in local search results. Searches are straightforward. This number shows the amount of times your business listing shows up in certain types of online searches. Direct searches tell us how many people typed your business name (or close variation) into the search bar on Google. If you're looking to improve brand awareness, you should be tracking direct searches. Discovery searches tell us how many times your business listing showed up for searches related to your main products or services. When you see an uptrend in discovery searches, you know your local marketing plan is working! For more information on how to show up in local searches, watch our webinar below! Views are a different story. Unlike a search, which tells us how a customer found you, a view tells us where they found you. A search view means the customer was using a traditional Google search (desktop, tablet or mobile) to find your business. A view on maps means the customer used Google Maps (desktop, tablet or mobile) to find your business. Views are comparable to impressions, meaning they are tallied when your business is visible. 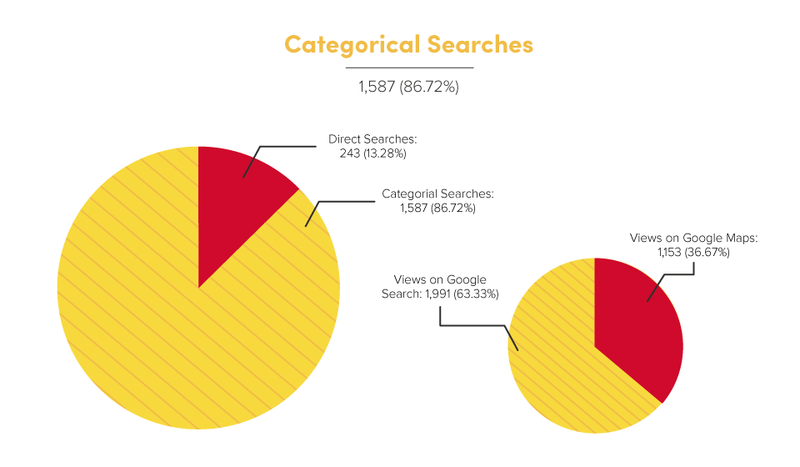 Because of this, one search could create multiple views. A click to website action happens when the customer found your business’s Google My Business listing and clicked on the website button. This customer action tells us how frequently customers find your business listing but want to learn more about you prior to calling, visiting or booking an appointment. A click to directions is pretty self-explanatory. When a mobile user clicks on the directions button on your listing, they are redirected to their GPS or map app to find the quickest route to your location. A desktop or tablet user will be redirected to Google Maps to input their location and get turn-by-turn directions. A click to call happens when the customer clicked on your phone number to contact you directly. Clicks to call usually happen from mobile phones, but desktop or tablet users can also call using Google Hangouts. Overall, customer actions tell us how Google users are behaving when they see your business. If you're wondering which interactions are the most important, that will depend on your goals. Once customers find your business listing, they have the option to visit your website. While Google My Business allows the user to click to visit your website, Google Analytics tells us what they do on your site. Google Analytics can provide you with a thorough look at your website’s function and the user behavior. A session is when your site is visited by a user. To identify where users are finding your site, talk to your marketing strategist about more advanced analytics data reporting. New sessions happen when the visitor has never been on your website before or has cleared their browser cookies since their most recent visit. Google Analytics will install a cookie on the user’s browser to identify that repeat traffic and user behavior. The relationship between new and returning users can tell us a few things. Returning users can show you the effectiveness of a brand awareness strategy. The more returning users, the more recognizable your brand. Returning users can tell us how consumers interact with your business throughout a long-term buying cycle. A returning user can be someone who found your business during their research phase and is returning to get more information and contact you. New users signify an increase in your business’s reach and visibility in the digital space. The more new users you have on your site each month the more impactful your marketing efforts are in driving business awareness and visibility. Page views signify how many pages on your site were visited. If your website has many pages, your page views should be quite large since you want people to stay on your website and visit other pages than the page they started on. If your page views are on the lower side, it could be because of difficult navigation or broken links, so you may need to look at your website to figure out the problem and improve page views. If you have a smaller, more focused website with only a few pages, having a lower page views number is totally normal. Use the page views data to identify the number of interactions between site visitors and your website. I know this is all more than a little complicated but (shameless plug) we have a great analytics reporting platform called Reveal. It's pretty great and you can use it to track the data that matters most to you, from Google My Business analytics to clicks, calls and leads all in an easy-to-understand reporting platform! Check out Reveal here.